Chicago Magazine bemoans the loss of two-flat apartment buildings in the city, citing increasing average rents. Josh Marshall catalogs all the times President Trump was surprised by knowledge that was only new to him. VIA Rail in Canada is offering a 10-day, Montreal to Vancouver rail journey to celebrate the country's sesquicentennial. Marin County, Calif., has an app that lets you try to mitigate climate-change induced flooding. Good luck. "I suppose it might have been DNA asserting itself," said Beal, who will be in Chicago May 5 and Evanston May 7 when the celebrated Apollo Chorus includes his "The Salvage Men" and "Poor in Spirit" as part of their 145th-season-ending spring concert, "American Masters," in Chicago and Evanston. "It's true that [my grandmother] passed on her love of improvisation, but there's also something almost eerily similar about what she did, watching a screen and creating her own musical accompaniment, and what I do in my day job." [H]e had been diagnosed with multiple sclerosis in 2007. Though he took seven years to process the news before beginning to write "The Salvage Men" in 2014. Serendipitously, that was about the time that Apollo Chorus music director Stephen Alltop, who studied with Beal at Eastman, got back in touch to praise Beal's work on" House of Cards" and suggest the possibility of doing a concert together. Which explains why Beal and his new choral works are appearing in Chicago directly after their debuts in London and Los Angeles. Beal also will perform solo trumpet over the comparatively simple text of his "Poor in Spirit," — it consists entirely of one repeated phrase from the Beatitudes: "Blessed are the poor in spirit" — much as he often plays trumpet over the score of "House of Cards." Tickets are available through the Apollo Chorus website. It's going to be an amazing concert. TimeOut has their list for 2017. Definitely some on it I want to see, and some I have been to. Next, I think, will be The Ladies' Room and 1952½. Also, tomorrow I won't be coding all day and forget to write a blog post until 8:30. 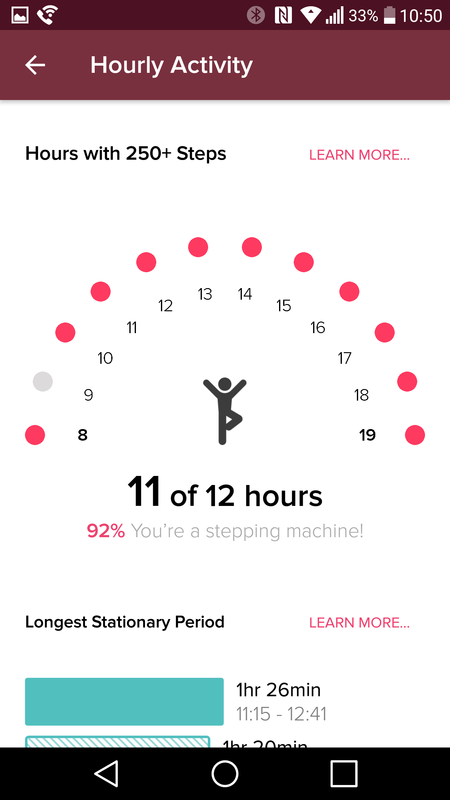 But at least I got all 12 hours of steps—it's been a frustrating week on that front. Jeet Heer writes about President Trump's catastrophic first 100 days. Josh Marshall says that Trump's "religion of 'winning'" is the problem. Crain's Joe Cahill thinks that the best thing to come out of the United Airlines passenger-removal fiasco is that Oscar Munoz won't become chairman. John Oliver on Sunday warned the world about the deficiencies and scary realities of Ivanka Trump and Jared Kushner. Harvard professor David Searls, in a post from September 2015, calls ad blocking "the biggest boycott in human history." Microsoft has announced Azure Media Player v2.0. If you don't know or don't care what this is, don't worry about it. Similarly, you might not care about Lift & Shift vs. App Services in Microsoft Azure, but it's a useful bit of knowledge if you do. Starbucks is building a five-story roastery in the space currently occupied by Crate & Barrel's flagship store on Michigan Avenue. Sarah Zhang, writing in The Atlantic, reviews Peter Ungar's book on the evolution of teeth. Mother Jones' Josh Harkinson explains why American milk tastes weird to everyone else in the world. Deeply Trivial continues her A-to-Z explanation of statistics with "V is for Venn Diagram," which includes jokes that some people will find funny and some will not. And now, Parker needs a walk. Fitbit has a feature that tells you if you've taken at least 250 steps per hour. You can set the start and end times—mine are 8am and 8pm—but you can't turn off the feature entirely. This feature is driving me batty. Also notice that it keeps track of your longest time without taking any steps. Again, it's sometimes hard to get up and move because it breaks the flow of coding. All I need to do is just stand up and walk around the room every n minutes to bring the average down, and yet, it's really hard to remember to do that. 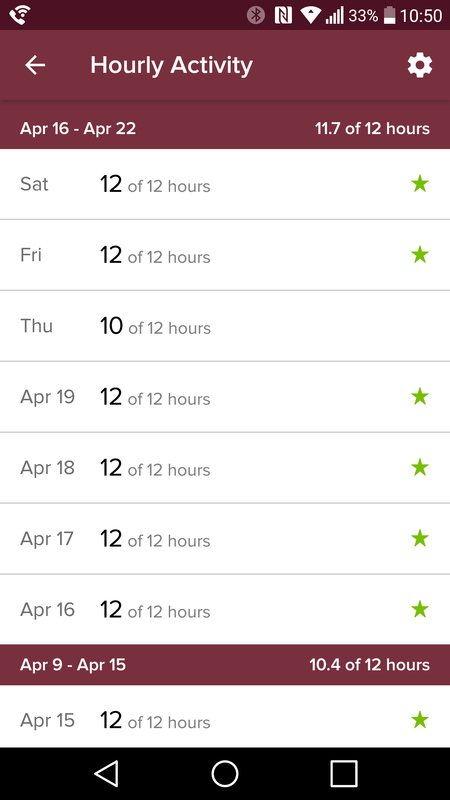 Meanwhile, I've hit my larger goal of hitting 10,000 steps per day on 28 of the last 30, and my 30-day moving average is over 15,000 right now. So I'm doing something right. It's a tremendous brand, fantastic. Everybody loves it. "I've never seen such a glut" of condos for sale, said real estate agent Carla Walker of KoenigRubloff Berkshire Hathaway. "When people live where they've paid $1.5 million and up, they don't want to see people hanging out and demonstrating. And there's still a stigma there for some people." The number for sale "is amazing," said Gail Lissner, vice president of Appraisal Research Counselors. "I've never seen that number for sale since they opened, and there have been very few transactions." Only four units sold this year, and there was a decline in the number sold last year compared with the previous year, she said. There are about 52 residential units for sale now. With the addition of the hotel condos also on the market in the building, the number of units for sale jumps to about 70. Based on the residential units alone, the number of available condos in Trump Tower is almost three times higher than other large condo buildings downtown, according to Lissner's data. No comparison is perfect, because the very high-end Elysian and Waldorf buildings are small with little turnover in units. But Lissner said that while Trump Tower has 52 of its 486 units on the market, the John Hancock building has 26 out of 703 for sale; Water Tower Place has 9 out of 260 for sale; Aqua has 12 out of 262 for sale; 340 on the Park has 11 out of 343; 600 N. Lake Shore Drive has 20 out of 395; and The Heritage has 5 out of 358. Apparently the massive "TRUMP" logo on the southeast wall of the building is not what people in heavily-urban, heavily-Democratic Chicago want to pay extra for. The Atlantic has a collection of portraits of the Earth-Luna system you simply have to see. On Friday, President Trump sat down with AP reporter Julie Pace, and...well...here's the transcript, annotated by WaPo. I suppose I have to read it, but even in the first few moments, I'm struggling. Carbon dioxide concentrations have skyrocketed over the past two yearsdue to in part to natural factors like El Niño causing more of it to end up in the atmosphere. But it’s mostly driven by the record amounts of carbon dioxide humans are creating by burning fossil fuels. Too bad all that data isn't persuasive enough for some people. I guess the planet just needs better P.R.